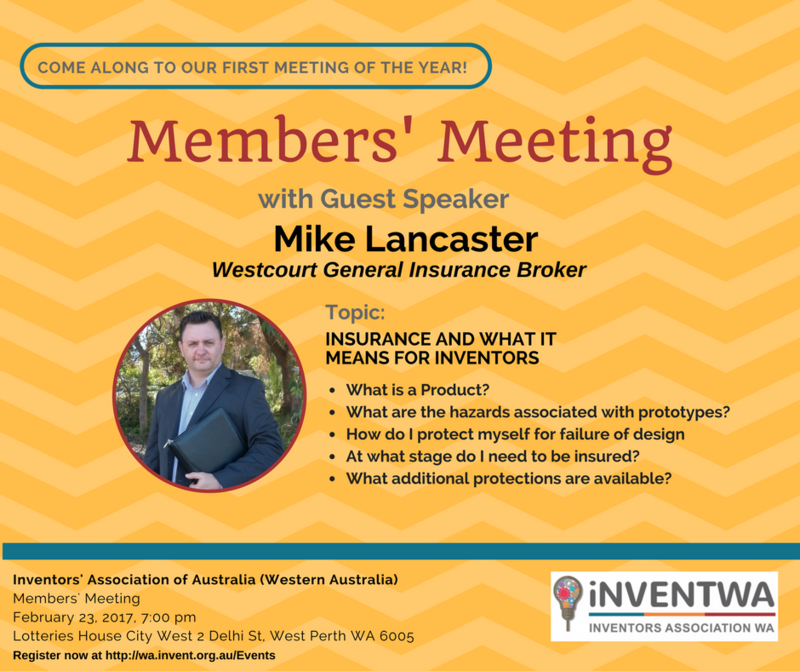 The Inventors Association of Australia (Western Australia) invites you and your guests to our members meeting. Our guest speaker is Mike Lancaster, Westcourt General Insurance Broker who will talk about insurance and what it means to inventors. Mike Lancaster has worked in the general insurance industry both as an insurer and as a broker for over 25 years. He has advised many businesses on managing their risks associated with the design, manufacture and commercialisation of products and specifically in the area of Products Liability on which he has extensive experience. Michael’s clients range from small single person businesses to large commercial operations.